Take everyone's breath away in La Femme 26115! This dreamy two piece design features a crop top with a high neckline, strappy open back, and a bold laser cut velvet design throughout. 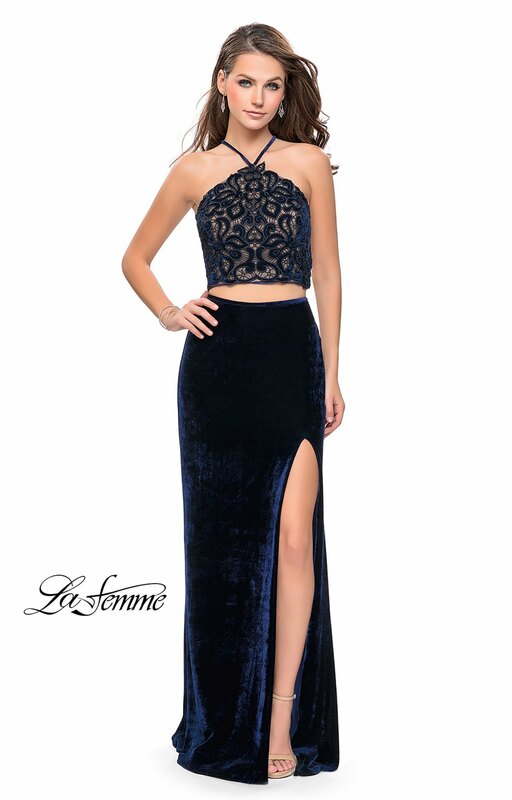 When paired with the contrasting fitted velvet skirt with thigh high slit, it makes for one fabulous design.